Be one of 10 lucky readers to get Bitrix24 free for a year! 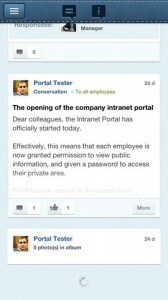 A couple of weeks ago we had a look at the corporate social intranet iPhone app Bitrix24. We really liked this business communication tool that made it incredibly easy for groups to communicate efficiently and help reduce poor communication over projects. Off the back of our review, Bitrix24 have been kind enough to offer 10 lucky Tapscape readers the opportunity to use this excellent business app free for a year. If you would like to take up this outstanding offer here is what to do! 2. Comment on this post and tell us why your business would benefit from a years subscription to Bitrix24. Be sure to include your Bitrix ID! 3. We will pass on the 10 best responses to the Bitrix Inc. team who will then upgrade your account for free. 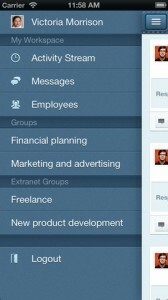 If you want to see exactly what we thought of Bitrix24, be sure to read through our review. We look forward to reading your comments.